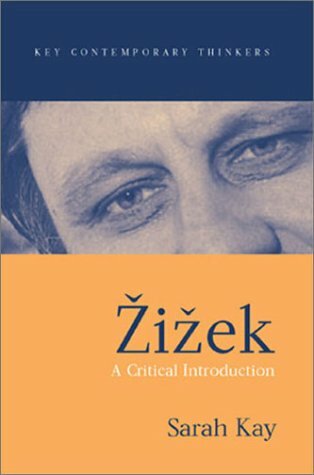 Hailed as the most significant interdisciplinary thinker of modern times, aeZiaezek's work is a powerful combination of Lacanian psychoanalysis and philosophy. His writings to date are presented and evaluated here, together with an outline of their development and explanations of his key themes. Sarah Kay is Professor of French at Princeton University, the author of several monographs on medieval French literature, including Courtly Contradictions and The Place of Thought , coauthor of A Short History of French Literature and Thinking Through Chrï¿½tien de Troyes , and coeditor of various volumes, most recently The Cambridge Companion to Medieval French Literature .